David D. Kirkpatrick is a prize-winning international New York Times correspondent based in London. From 2011 through 2015 he was the Cairo bureau chief. He has also been a reporter for The Wall Street Journal and a contributing editor for New York magazine. This is his first book. “It is rare to come across a book on Egypt that is steeped in so much knowledge, experience, and true understanding of the complex forces that led to the so-called Arab Spring, and resulted in its slow demise. David Kirkpatrick has written an extraordinary book - one that sheds much-needed light on the religious, political, and economic conflicts roiling one of the most important countries in the Middle East." 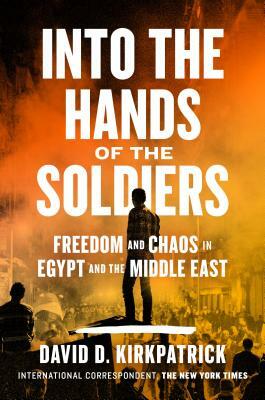 "This will be the must read on the destruction of Egypt’s revolution and democratic moment."